that dragons exist. 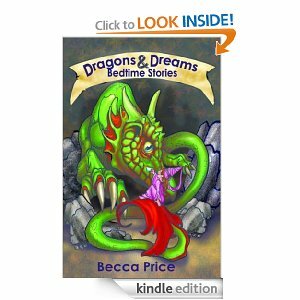 Fairy tales tell children the dragons can be killed.” In my book, Dragons and Dreams, I show that not all dragons need to be killed, but that some can be negotiated with. Dragons are only scary when they’re part of the unknown. When we face the unknown, a dragon can become not an enemy to be overcome, but can become a protector. In fairy tales, evil can be turned to good. In my story “A Princess for Tea” (part of the Dragons and Dreams collection), the bold princess learns that a dragon can become a friend, with a little bit of understanding. The theme of monsters as protectors is also brought out in my short story Heart of Rock (coming soon). In that story, the gargoyles become not only something to be overcome, but ultimately can be enlisted as guides and protectors of a human kingdom, at the price of only a little kindness.